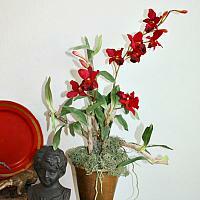 This gorgeous Orchid brings the beauty of deep, red velvety orchids to your French Country home. Inspired by the gardens and colors of the Burgundy wine area in France, the attention to every tiny detail makes this handpicked selection of incredibly realistic faux flowers the perfect present to brighten the home of someone you love. 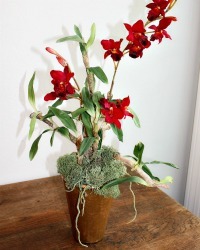 The delicate soft petals of the enchanting deep red orchids offer a stunning contrast to the green leaves and brown papery stems. 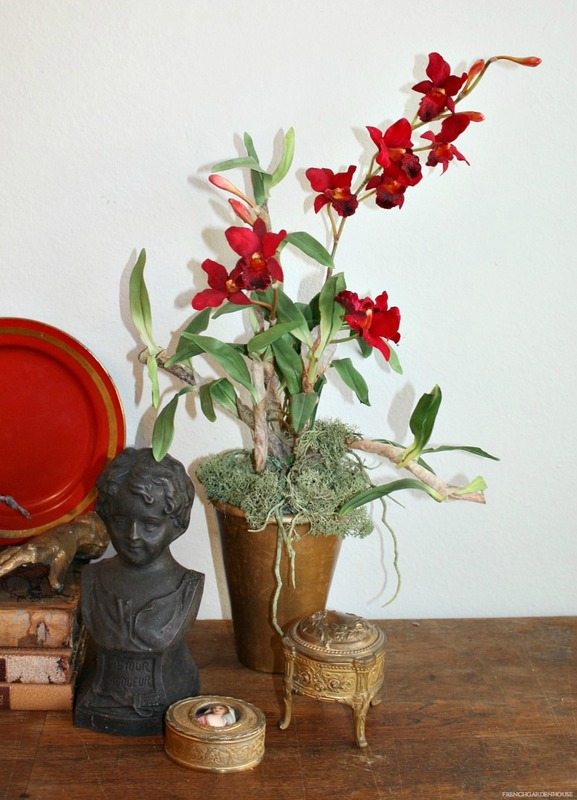 Presented in our hand painted gold French terra cotta pot, it's ready to gift, or keep. A beautifully decorative way to celebrate any season! Measures about 12"x 10" x 20" to highest bud.